Singapore, 12 November 2018 – Wing (Cambodia) Limited Specialised Bank has received two accolades at the ASEAN Business Awards 2018. The honours were bestowed at a gala dinner at the Ritz-Carlton Hotel in Singapore. Wing won two awards, namely “Sustainable Social Enterprise”, as well as “SME Excellence” in the “Growth” category. This is the second year running that Wing has been recognised by the ASEAN Business Awards. In 2017, it was named among the “5 Most Promising Enterprises in ASEAN”. ABA awards panel said, as the country winner for Sustainable Social Enterprise, Wing has demonstrated innovation and has made significant sustained contributions to the community. 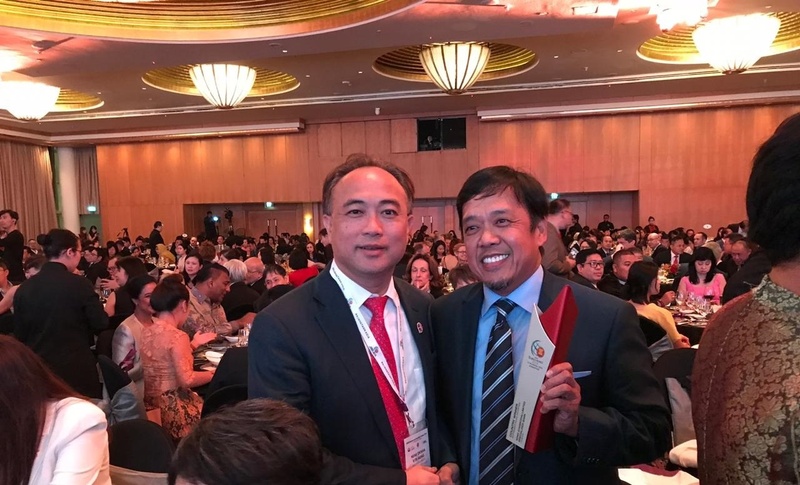 Wing Chief Executive Officer, Mr. Jojo Malolos was in Singapore to accept the awards and said he was proud to receive such a glittering endorsement of the company’s mission to make a difference in the lives of Cambodians. “For the past decade, Wing has committed itself in ensuring that Cambodians enjoy a wealth of convenience and security when it comes to mobile financial services. To be recognised as a “Sustainable Social Enterprise”, is a reflection of our commitment in making a fundamental difference in the standard of living in the Kingdom of Cambodia, as well as working towards achieving our goal-creating a cashless society,” said Mr. Malolos. According to the National Bank of Cambodia, approximately 75% of the population in Cambodia is outside the formal banking sector. In the past, these “under-banked” or “non-banked” Cambodians have faced enormous hurdles and exposed themselves to risk by having to rely on third parties to transport cash to their families. Wing’s money transfer services changed all of this, by allowing Cambodians who do not have a traditional bank account to transfer and receive funds electronically, safely and immediately using their mobile phones. 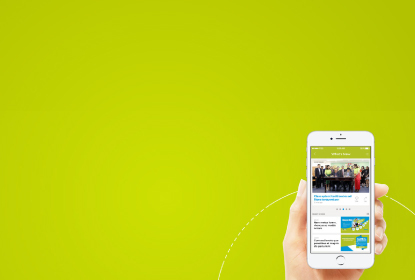 These developments in mobile financial services are also having a direct and hugely beneficial impact on the economy within communities. For instance, 65% out of over 6,000 Wing agents and 2,000 sub agents are also ‘stay at home mums’, who earn income and contribute to their community by providing Wing services. Thanks to its enterprise business and MFI partnerships Cambodia’s farmers can access loans for the first time while also building sustainable and profitable businesses that streamline their operations, saving them valuable time and money. In awarding the “SME Excellence – Growth” accolade, the ABA awards panel saw that Wing has demonstrated initiative and willingness to undertake bold new ventures for sustainable growth and has attained commercial success to levels that are outstanding for its operations size. “The growth has been phenomenal, Wing now has 3 million active users, including 1 million account holders, and generates an annual transaction value of over US$10-billion. What has been most rewarding though is seeing how the general development of mobile financial services in Cambodia is benefitting the broader society. The introduction of the latest financial technology has led to MFIs reaching more customers, SMEs becoming more efficient and new e-commerce channels opening up, enabling business owners to pay their staff and suppliers more easily,” said Mr. Malolos. The ASEAN Business Awards are the second time in three months that Wing’s social impact has been recognised. In September, influential international business magazine, Capital Finance International, honoured Wing in its 2018 awards, naming it “Best Social Impact Bank – Cambodia 2018”.